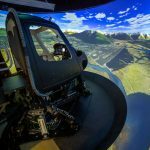 For release October 7, 2015, Frasca International, Inc. Urbana, IL has received a contract for an Level 5 R44 Helicopter Flight Training Device (FTD) from Central Oregon Community College (COCC), Bend, Oregon. 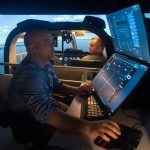 The R44 FTD will simulate the Robinson R44 Helicopter and will feature a 3 channel cylindrical 220° Visual display system with Frasca’s TruVision™ Global visual system including helicopter Missions database for the entire state of Oregon. 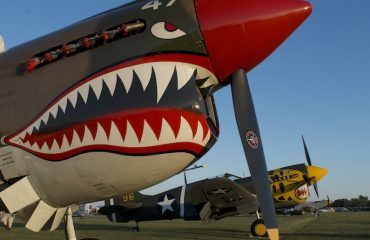 The R44 FTD will be used in the colleges careers pathway for aviation program which provides flight training for both fixed wing and helicopter pilots. The cockpit of Frasca’s R44 FTD is a replica of the aircraft and includes panels, controls and instrumentation. Control pressures are realistically simulated by Frasca’s TruFeel™ control loading system. 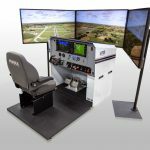 The R44 includes Frasca’s TruVision™ visual system providing highly realistic visual training environments. 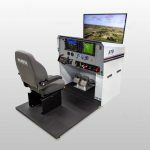 “With this incredibly accurate R44 FTD, we have elevated the level of simulation available for this class of aircraft which allows more training to be performed in the simulator.” , stated John Frasca, President of Frasca International, Inc. The R44 FTD is designed for use by helicopter flight schools, commercial operators, and parapublic organizations. Frasca recently delivered another R44 FTD to a flight school in China.